TBT - Donkey Kong Country - A Surreal Romp Through The Jungle — GamingWithSwag.com - Dads By Day, Gamers By Night. The 1990’s was an amazing time to be a console gamer. With each passing season, new ground was broken in some way, shape, or form; at least it felt that way at the time. Whether arcade games were miraculously ported into our homes or some new revolutionary graphics emerged on our consoles, the competition between Sega and Nintendo was constantly upping the games of both systems, as well as their third-party developers. Fans were impressed time and time again by the latest and greatest in 16-bit technology, whether it was the smooth animation of Sega’s Disney offerings or the immersive experience of Nintendo’s Star Fox. Month-to-month, new titles clashed, and the fans were big winners again and again. One game that gained particular traction as “groundbreaking” during this time was Rare’s Donkey Kong Country, a game so beautifully rendered and vibrantly entertaining that most fans overlooked its simplicity. Make no mistake, Donkey Kong Country did not really add any new functionality that gamers had never experienced previously, but it offered familiarity in an exciting and visually captivating way. I do not know whether or not the sound quality and graphics on this game were indeed the top of the line for the time, but I know that my fellow Nintendo fans and I saw Donkey Kong as pushing the limits of what a Super Nintendo could visually and audibly display. During the decade-long console wars of the 1990’s, perception was a huge part of a game’s status, and word on the street was that Donkey Kong Country was the next-level of gaming graphics. The combination of lush color, rich sound, and fluid movement made this cartridge a favorite for many at the time, whether they preferred levels with the infamous DK running through jungles, swimming through the deep, or firing his way between barrel cannons. The gameplay was tight, it always felt like it was your fault if you messed up. One play feature of note was the creation and inclusion of Diddy Kong, which allowed the player to switch between the characters to achieve certain tasks on most levels. The two characters could be used as a dynamic duo by a single player, and many players chose their spots on which of the two they preferred and why (I always preferred Donkey Kong, myself). Donkey Kong Country also had what every great game needs: a wonderful soundtrack. The music was so good and beloved, in fact, that a CD of the themes entitled, “DK Jamz” was also made available and became a highly sought item among collectors over the years. I was able to find the CD several years ago, and I still enjoy the tracks “Aquatic Ambience”, “Ice Cave Chant”, and “The Credits Concerto” from time to time. Donkey and Diddy Kong could seek out helper friends like Enguarde the Swordfish for special abilities. 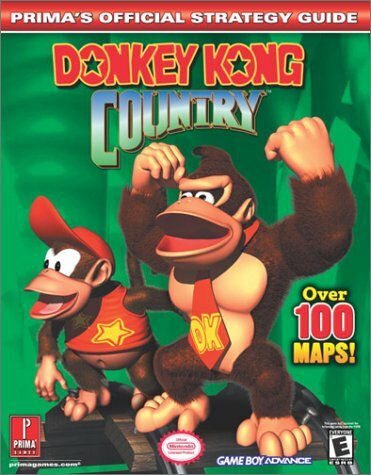 If you haven't already guessed, I could go on and on about the original Donkey Kong Country. In many ways, Donkey Country is a testament to the adage add that cliches are cliches because they are true. This game used familiar functionality and common 2D side-scrolling gameplay and level-sets in a unique, vibrantly rendered world full of colorful inhabitants; and while it didn’t reinvent the wheel, it gave it those 20-inch chrome rims that keep spinning at the red light. Of the many 16-bit highlights to come out of the 1990’s, this is truly one of my most cherished, and I am sure that many other gamers from the time would agree with me. Bosses were massive, and incredibly detailed for the time of release.